SEOUL, July 25 (Yonhap) — Kim Jee-woon, one of the three most prominent Korean directors, along with Park Chan-wook and Bong Joon-ho, has many films of all different genres under his belt. His filmography includes comedy-thriller “The Quiet Family” (1998), comedy-drama “The Foul King” (2000), horror-thriller “A Tale Of Two Sisters” (2003), action-noir “A Bittersweet Life” (2005), postmodern spaghetti western “The Good, The Bad, The Weird” (2008) and period action flick “The Age of Shadows” (2016). Kim has returned with the Korean-style sci-fi action movie “Illang: The Wolf Brigade.” The film, which just opened, is a live-action adaptation of the popular 1999 Japanese animation “Jin-Roh: The Wolf Brigade” and cost well over 20 billion won (US$17 million) to produce. The Korean film changes the setting from ’60s post-World War II Japan to South Korea in 2029 after the country agreed to launch a unified government with North Korea to survive the chaotic Northeast Asian regional political situation. The story revolves around the actions of a special police unit organized to stop an anti-reunification terrorist group. It has a star cast that includes Gang Dong-won, Jung Woo-sung and Han Hyo-joo. The filmmaker said he has constantly given himself new missions and challenged himself because he didn’t want to stay in the present, repeating what he’s already done. Making a live-action blockbuster version of an animated movie, however, was never easy, he confided. His latest has much in common with his 2008 hit movie, “The Good,” in that they were both big-budget action projects considered a rather “reckless challenge” at first for the current scale of the local film industry. “By the way, now I think I can never make a film like ‘The Good’ again. We, the entire cast and crew of the film, had a sort of strong desire and madness to make a Korean-style Western back then,” he said. He has often said during press events that “Illang” was the title that hurt his health the most in his entire filmmaking career. Kim now seems to be personally satisfied with the outcome. 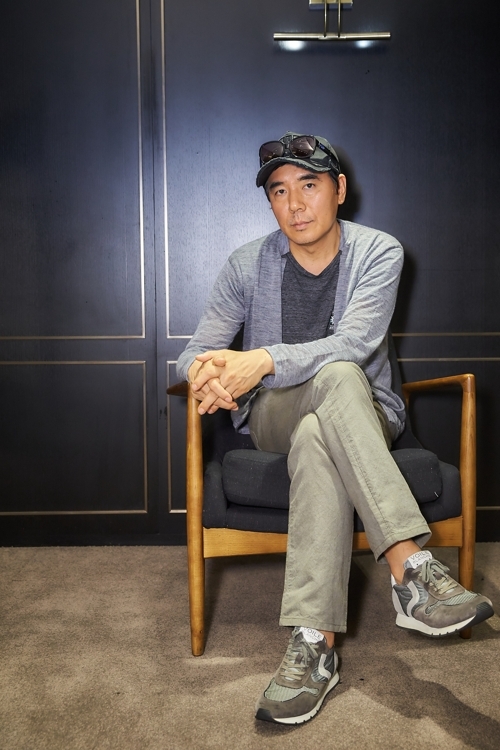 In order to achieve this goal, he first tried to remake “Ghost in the Shell” by Mamoru Oshii, who wrote the original Japanese animation “Jin-Roh.” But he had to give it up after learning that the remake rights to the animation had already been sold to a Hollywood studio. And then he watched another iconic animation from the same writer-director for the first time in about 20 years and was captivated by the image of the lead character walking from darkness into light in an underground tunnel wearing his protective gear and the silhouette of special forces members standing on ruins holding machine guns. The movie attracted some unfavorable reviews upon its media pre-screening on Friday, mainly due to its weak storyline. After the Korean-style sci-fi action noir featuring metal suits, what will be his next challenge? Kim said he doesn’t know yet, but he wants to have time someday to complete what he has achieved so far. “I don’t know how long I can make films. If I can work for 10 more years, I want to spend the time completing what I have done before, whatever genre it may be,” he said.